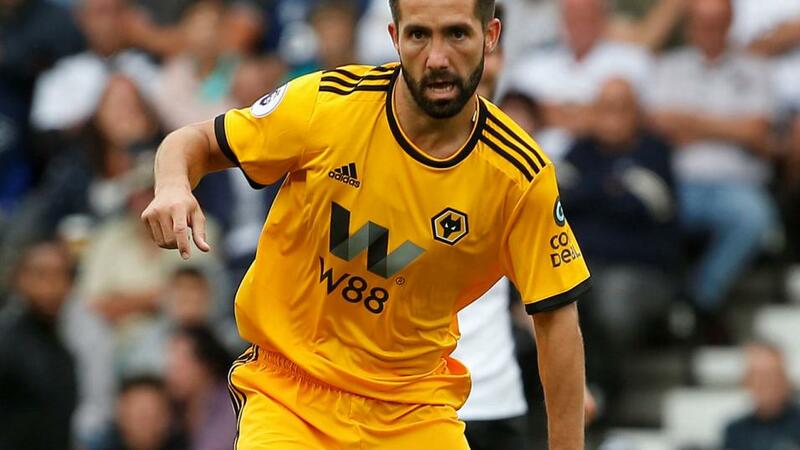 Wolves continue to impress and are fresh from victory over Southampton while Crystal Palace are finding it very hard to win at home. So bet accordingly, says Jamie Pacheco. "In light of all of this evidence, we simply have to side with Wolves. But how? The Draw/No Bet option looks the one to go with. You can get 5/6 if they win and your money back if they draw." It must be the most frustrating thing in the world for a manager. You do just about everything right in order to secure a valuable point at a tough ground and then, with the clock ticking down, your experienced centre-half goes and does 'that'. Quite why Mamadou Sakho felt the need to hurl down an opponent who was in no danger of scoring, inside the box at a corner, only he will know. But Bournemouth duly scored from the spot and so Palace left empty-handed. Raiding left-back Patrick van Aanholt scored his first of the season in that game and remains a big asset as a good defender who gives you an extra option by getting forward as often as possible. But the key man is still Wilfried Zaha, of course. How Roy Hodgson wishes he had two of him so he could have one Zaha on the wing and another in the middle. That's one of his dilemmas ahead of this game: where to play him. Jordan Ayew's contribution as the main striker last time out was poor so one option is to start with Alexander Sorloth there, while another is to play Zaha through the middle and either Ayew or Jason Puncheon out wide. Wolves are ninth. It's no more than they deserve. Last week I talked about how Nuno Espirito Santos' strategy of recruiting Portuguese or Portugal-based players has worked a treat and it was nice to see that my thinking that Joao Moutinho, Rui Patricio, Ruben Neves and Co. would be too good for Southampton was right, with a low-scoring win (2-0) being rewarded at 13/5. In Mexican star Raul Jimenez they have a real footballer's footballer. There's nothing massively impressive about a goal tally of two for the season but that's missing the point. It's his running off the ball, work-rate and ability to being others into the game that make him such a valuable asset. On Saturday he provided a crucial assist for the second week running. Besides, more goals will come sooner or later anyway. There are no injury concerns, either. All in all, life is pretty good at Wolves at the moment. I normally pay quite a lot of attention to head-to-head results but I won't here. The last time these two teams played was back in 2013 and a heck of a lot has happened since. An example of that being that Wolves have far more money to spend, a foreign manager and a team featuring some of Portugal's starting XI. So let's focus on the present rather than the past. It's very rare that you see odds quite as tight as these in the Premier League. It's 15/8 on Palace, 11/5 about the draw and Wolves are 9/5. The hosts should be ruled out straight away. They have two wins from seven which is fine but neither of those were at home. A sign that perhaps a strategy of keeping things tight on the road and asking Zaha to weave his magic on the break suits them better than trying to be on the front foot when at Selhurst Park. They've lost four from seven. Wolves have lost just once all season in the league, in Week 2 at Leicester. Since then they've held Man Utd away, Man City at home and beaten West Ham (away), Burnley and Southampton (at home). In light of all of this evidence, we simply have to side with Wolves. But how? The Draw/No Bet option looks the one to go with. You can get [1.93] on the exchange if they win and your money back if they draw. Given they've lost just once and have played far better teams than Palace, with all due respect, that's a good option. Is Zaha value to score? Zaha is 5/1 to score first and 23/10 to score anytime. Given he's scored three from seven this season, on those numbers alone you could argue he's value in terms of the latter bet. Especially seeing as he enjoys playing Wolves. Opta remind us that he scored twice in two previous appearances against Wolves, way back in 2012-13, both games played in The Championship. However, none of those three goals this season were scored at home so that puts us of somewhat. Maybe playing away suits him just as much as it suits the team as a whole. That man van Aanholt is 9/1 to score anytime and we've already mentioned how lively he is, while set-piece master Luka Milivojevic is 6/1. I also spoke last week about how Wolves share the goals around and after having two 'new' scorers at the weekend, we're no closer to coming to any good conclusions in that regard. But if you really, really want to take a punt then their own set-piece specialist Ruben Neves might be a worth a small bet at 9/2. Why not put two or more selections together and form your own same game multi-bet? For example, we've pretty much decided that Wolves really shouldn't those this game. And logic suggests this one won't be opening proceedings on Match of the Day, either. Goals could be at a premium here and we may get just one of them. We may not get any at all. Combining Wolves and Draw on the Double Chance market (2/5) with Under 1.5 Goals (9/5) comes to odds of 4.16.